Maartje Stols-Witlox is Assistant Professor Paintings Conservation, coordinates the MA program in Paintings Conservation at the University of Amsterdam, and is member of the management team of this program. She is active on all levels of university teaching, including PhD supervision (currently co-promotor of 3 PhDs). Maartje Stols-Witlox specialises in the examination of historical paintings, with special focus on historical artists’ recipes and their reconstruction with ‘historically informed’ materials. She has published widely on issues related to historical grounds in North West Europe, on reconstruction methodologies and on the investigation of conservation history through recipe research. In June 2017, she co-organised an interdisciplinary NIAS-Lorentz workshop on methodologies for performative methods, Re-enactment, Reconstruction and Replication. This workshop led to the establishment of a network for researchers employing performative methodologies. A book of essays based on this week is currently in preparation. Stols-Witlox futhermore headed the NICAS seed money project Scientific Reasoning in Art, Evaluating Evidence in Painting Research using a Bayesian Approach (2016-2017) and is affiliated to the Artechne project - Technique in the Arts 1500-1950 (Utrecht University). Stols obtained a BA and MA in Art History at the University of Leiden and subsequently studied Conservation of paintings and painted objects at the post-graduate programme of the Limburg Conservation Institute in Maastricht. She specialised in the structural conservation of panel paintings during a six-month internship at the Hamilton Kerr Institute, University of Cambridge. Stols has worked as a paintings conservator in The Mauritshuis, The Hague, in several private studios in the Netherlands, and has her own private conservation practice. As researcher of historical paint recipes, Stols has acted as research associate in the HART Project, HART standing for Historically Accurate Reconstruction Techniques (project leader: Dr. L. Carlyle). The HART Project was part of the De Mayerne Programme, a multi-disciplinary five year research programme in the Netherlands, sponsored by NWO. Stols was core team member of the PAinT Project, PAinT standing for Paint: Alterations in Time (2012-216). Within this NWO-sponsored research project inside the Science4Art Programme, conservators, conservation scientists, computational scientists and chemists in coopeeration with major Dutch museums and international research partners investigated ageing, deterioration and migration processes in oil paints related to pigment-binding medium interactions.The PAinT project aimed to provide an improved scientific basis to guide future conservation strategies. Stols' project Restoration recipes was selected by the Amsterdam University Fund as one of the four 'Jaarfonds' fundraising projects for 2014. Stols-Witlox is member of the scientific boards of the 2015 Metal Soaps in Art Conference (Amsterdam), the 2018 Trade in Artists Materials Conference (Copenhagen, Denmark), of the organising committee of the 2018 Preservering Rembrandt symposium, and member of the steering committee of the Mobility Creates Master (MoCMa) network and of the IAEA expert committee on Safe Irradiation Levels for the Instrumental Analysis of Cultural Heritage. Stols-Witlox, M. J. N. (2017). “To keep the colours fresh, alive and bright”: the influence of preparatory layers on the durability of oil painting, according to North West European recipe books 1550–1900. In J. Townsend, & S. Eyb-Green (Eds.), .) Postprints to the Sixth Meeting of the Art Technological Source Research working group (pp. 100-106). London: Archetype. Stols-Witlox, M. J. N. (2018). Witte gronden, heldere kleuren. Wat historische auteurs (1550-1900) van recepten schrijven over het schilderen op witte gronderingen. KM : vakinformatie voor beeldende kunstenaars en restauratoren, (106), 25-27. Ministerial Conference on Nuclear Energy and Technology, Vienna, Austria. Stols-Witlox, M. J. N., Bierings, J., van den Berg, K. J., & Steyn, L. (2018). Challenges of surface cleaning paintings by Asger Jorn (1914–1973). An inventory of existing practice. Poster session presented at Conference on Modern Oil Paints, Amsterdam, Netherlands. Stols-Witlox, M. J. N., Vergeer, M., van den Berg, K. J., & van Oudheusden, S. H. D. (2018). Evolon CR microfibre cloth as a tool for varnish removal. The use of a conservation material unravelled. Poster session presented at Conference on Modern Oil Paints, Amsterdam, Netherlands. Joana Devesa, Stols-Witlox, M. J. N., & Carlyle, L. (2018). Early cleaning of Rembrandt’s paintings: what could have been used and when?. Poster session presented at Rembrandt Conservation Histories, Amsterdam, Netherlands. Lena Porsmo Stoveland, Bronwyn Ormsby, Francesco Caruso, Stols-Witlox, M. J. N., & Grøntoft, T. (2018). Make it dirty! Simulating physical and chemical changes in mock-ups for the cleaning of unvarnished oil paintings by E. Munch. Poster session presented at CHEMCH2018, Bucharest, Romania. Stols-Witlox, M. J. N. (2017). ‘A l’usage des artistes peintres’ (Blockx 1881)? Audience and readership of historical recipe books, 1550-1900: Audience and readership of historical recipe books, 1550-1900. Steyn, L., Stols-Witlox, M. J. N., Hendriks, E., & van den Berg, K. J. (2017). Cleaning modern oil paints: The removal of imbibed surface dirt. Towards an integrated conservation methodology for the assessment, contextualization and treatment of imbibed surface dirt on unvarnished modern oil paintings. Poster session presented at ICOM-CC 18th Triennial Conference Copenhagen, Copenhagen, Denmark. Devesa, J., Carlyle, L., & Stols-Witlox, M. J. N. (2017). From wood ash to pearl ash: Historic alkaline cleaning agents and their impact on oil paint. Poster session presented at ICOM-CC 18th Triennial Conference Copenhagen, Copenhagen, Denmark. Stols-Witlox, M. J. N. (2016). Kleinschalig, praktijkgericht Onderwijs. UvA FGw Conservering & Restauratie. Poster session presented at Eerste FGw Onderwijsconferentie, Amsterdam, Netherlands. Stols-Witlox, M. J. N., Sjerps, M. J., Hendriks, E., Wallert, A., van Tilborgh, J. L., de Zoete, J. C., & Hermens, E. (2016). Scientific Reasoning in Art: Evaluating Evidence in Paintings Research using a Bayesian Approach. Poster session presented at NICAS 2016 projects presentations, Amsterdam, Netherlands. Iedema, P. D., van Loon, A., Keune, K., Stols-Witlox, M. J. N., Beale, A. M., Weckhuysen, B. M., & Corkery, R. W. (2012). Paint Alteration in Time - PAinT. Poster session presented at first Gordon Research Conference, “Scientific Methods in Cultural Heritage Research: Non-Destructive Imaging and Micro-Analysis in Cultural Heritage”, . Stols-Witlox, M. (2018). Performative methods in the humanities: reconstruction, replication and re-enactment. Stols-Witlox, M. (2018). Down to the Ground: a historical, visual and scientific analysis of coloured grounds in Netherlandish paintings, 1550–1650 (NWO Free Competition Humanities 2017). Stols-Witlox, M. (2016). Scientific Reasoning in Art. Evaluating Evidence in Painting Research using Bayesian Methods. Stols-Witlox, M. (2014). Oude Restauratierecepten. Reconstructions of historical restoration recipes. Stols-Witlox, M. (2018-). Founding member, coordinating member, RRR Network - Replication, Re-enactment, Reconstruction. Stols-Witlox, M. (2018-). assistant-coordinator since September 2018, Art Technological Source Research Working Group - ICOM-CC . Stols-Witlox, M. (09-01-2019). Klokhuis Schilderijrestauratie [Television] Klokhuis. Klokhuis episode "Schilderijrestauratie". Stols-Witlox, M. (01-02-2017). Universiteit van Nederland - Kunstgeheimen: Is een eeuwenoud schilderij na restauratie weer zo goed als nieuw? [Web]. Universiteit van Nederland "Kunstgeheimen: Is een eeuwenoud schilderij na restauratie weer zo goed als nieuw? ". Stols-Witlox, M. (04-12-2015). Safer cleaning methods for oil painings. NICAS film. Stols-Witlox, M. (27-05-2014). Jaarfonds onderzoek 2014 [Web]. Jaarfonds 2014 onderzoek. Stols-Witlox, M. (speaker) (13-11-2017). State of Research – North West European 16th & 17th C recipe books on grounds, Mobility Creates Masters - a ground-breaking network, Copenhagen, Denmark. Stols-Witlox, M. (speaker) (27-10-2017). Have a great care of the shadows’. Historical Perspectives on Carefulness in the Restoration of Oil Paintings, The Making of Technique, Utrecht, Netherlands. Stols-Witlox, M. (speaker) & Boulboulle, J. B. (speaker) (25-8-2017). Enskillment in artistic technique. Developing a feeling for the body of colours, TransPositions Summer School. sensible Objects, Material Engagement, Skilled Expertise, Zeist, Netherlands. Stols-Witlox, M. (speaker) (6-6-2017). Painting Grounds: Materials and Colours, Science4Curators, Amsterdam, Netherlands. Stols-Witlox, M. (speaker) (3-5-2017). Het schoonste wit, Excursie Chemisch Historische Groep naar het Nimeto Museum, Utrecht, Netherlands. Stols-Witlox, M. (speaker) (9-2-2017). Scientific Reasoning in Art, NICAS colloquium, biweekly, Amsterdam. Stols-Witlox, M. (speaker) (22-11-2016). Is een schilderij na een restauratie weer als nieuw?, Universiteit van Nederland, Amsterdam. Stols-Witlox, M. (speaker) (26-8-2016). Method, Matter and Mind. Reproducing Historical Artistic Production Processes, Arts & Science, Vienna, Austria. Stols-Witlox, M. (speaker) (24-6-2016). The PAinT project and Education. Connecting PAinT Research to Teaching in Conservation and Science’, Science4Arts symposium, Amsterdam, Netherlands. Stols-Witlox, M. (speaker) (14-6-2016). Covering Ground. Historical recipe research for investigations into the materials and methods of preparatory layers, IPERION-CH WP 9 Expert meeting, Copenhagen, Denmark. Stols-Witlox, M. (speaker) (27-5-2016). Grounds, Animal Glue and Starch. Recipes and Reconstructions., Making & Knowing Project working group meeting 2016, New York, United States. Stols-Witlox, M. (speaker) (11-12-2014). ‘Onderzoek naar historische recepten voor preparatielagen ( ‘grondering’) van doek en paneel in bronnen in NW Europa, 1550–1900 … een aanvullende invalshoek bij grondering-gerelateerde & kunsttechnologische vragen.’, Sectiedag sectie Atelierpraktijken Onderzoeksschool Kunstgeschiedenis (OSK) , Amersfoort, Netherlands. Stols-Witlox, M. (speaker) (5-6-2014). 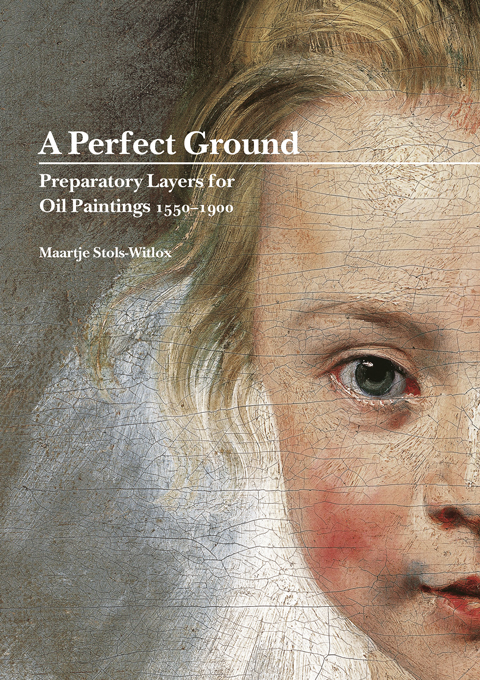 ‘ “Experience will be your best master” Investigating the relevance of written recipes for preparatory layers for oil paintings, with special focus on ground colour.’, Historians of Netherlandish Art Conference, Boston. Stols-Witlox, M. (organiser) (6-12-2018). Performative methods in the humanities: reconstruction, replication and re-enactment, Amsterdam, Netherlands. Expert meeting (organising a conference, workshop, ...). Stols-Witlox, M. (organiser) (29-11-2018). Side-event "Atoms for Heritage" at the Ministerial Conference on Nuclear Energy and Technology, Vienna, Austria (organising a conference, workshop, ...). Stols-Witlox, M. (member of programme committee) (8-11-2018 - 9-11-2018). Understanding treatment histories of painting by Rembrandt, Amsterdam, Netherlands (organising a conference, workshop, ...). Stols-Witlox, M. (organiser) (12-10-2018). Managing Risk in Art Transport: current approaches and the potential of a Bayesian approach, Amsterdam, Netherlands (organising a conference, workshop, ...). Stols-Witlox, M. (organiser) (14-6-2018 - 15-6-2018). 2nd network seminar of the Mobility creates Masters network, Amsterdam, Netherlands (organising a conference, workshop, ...). Stols-Witlox, M. (organiser) (29-11-2016). Eerste FGw Onderwijsconferentie, Amsterdam, Netherlands (organising a conference, workshop, ...). Stols-Witlox, M. (organiser) (21-11-2016 - 22-11-2016). scientific reasoning in Art:, Amsterdam, Netherlands. Expert meeting including a one-day symposium introding Bayesian methodology for the evaluation of evidence in paintings research to the conservation (…) (organising a conference, workshop, ...). Stols-Witlox, M. (organiser) (20-6-2016 - 21-6-2016). First SciRe expert meeting, Amsterdam, Netherlands (organising a conference, workshop, ...).